Have you finished decorating your Christmas trees? 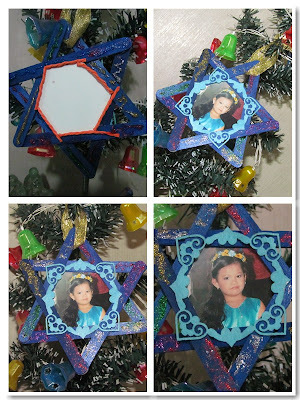 Here's an easy DIY decoration that you and your kids can design together. 1. Make a star pattern using Popsicle sticks. 2. Cut a picture and paste it at the center of the star. I glued the picture from the back and added the adhesive velvet frame in front of it. 3. Decorate it using glitter glue. 4. Do the same at the back. You can also add lace to the side or be more creative like adding some flowers or more strings. This is just a simple example. Pwede pang pa bonggahin ha! You can make more of these with all the pictures of the members of the family. 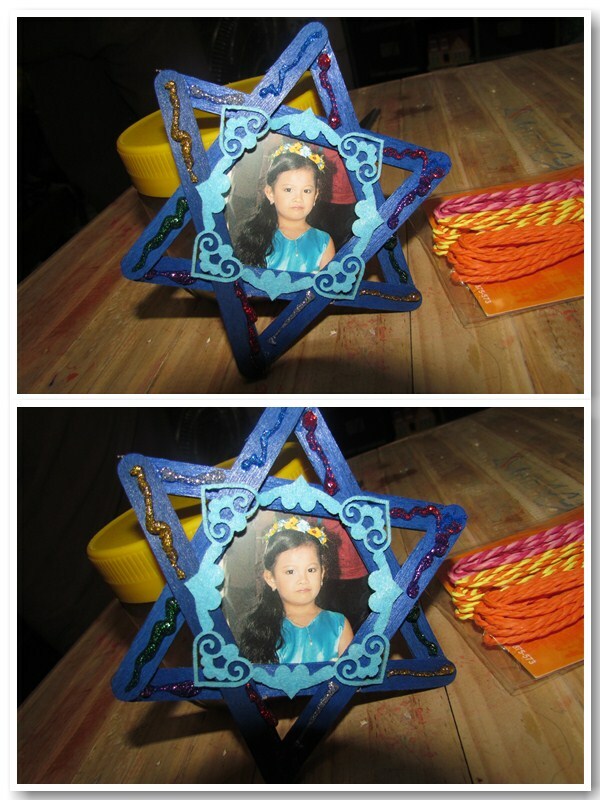 : You know some crafts for Christmas? Share them! Have you tasted the Holiday Doughnuts launched by Krispy Kreme last Nov.15? The flavors are Snowman, Gingerbread, Snowflake, Holiday Sprinkles, and Holiday Tree. 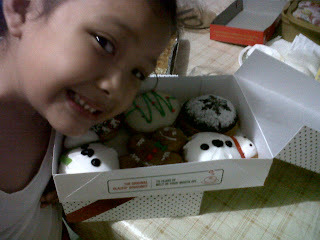 The little girl was very excited when she saw the colorful holiday doughnuts. The Holiday Sprinkles tasted just like their original glazed with sweet sprinkles on top, the Snowman comes in two scarf color - which is yellow green and red. Meg ate the toppings first before eating the doughnut. What I love about the Snowman is the scarf - a sour gummy candy that complements the sweet taste of the doughnut. Meg ate the Holiday Tree (just the toppings) and gave the rest to me haha. It has a Bavarian filling and not so sweet. I haven't tasted the Snowflake and Meg doesn't want to eat the Gingerbread since that's her friend daw haha! I'm sure your kids will also love it! 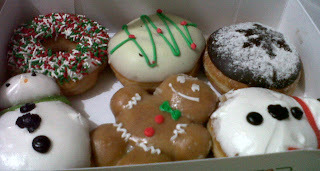 Visit their Krispy Kreme Philippines (Official) page and Krispy Kreme website to know more about their latest products. Meg joined their school field trip last November 10, 2012. It was a Saturday and we woke up early since we need to be at school before 6:20 AM. The itinerary for the said trip: Chips Delight Factory, Lucky Me Noodle Factory, and Pixie Forest in Alabang. The bus left at 6:45 AM and it was a short trip (we arrived at 8AM) to the first destination which is the Galinco Plant of Chips Delight. 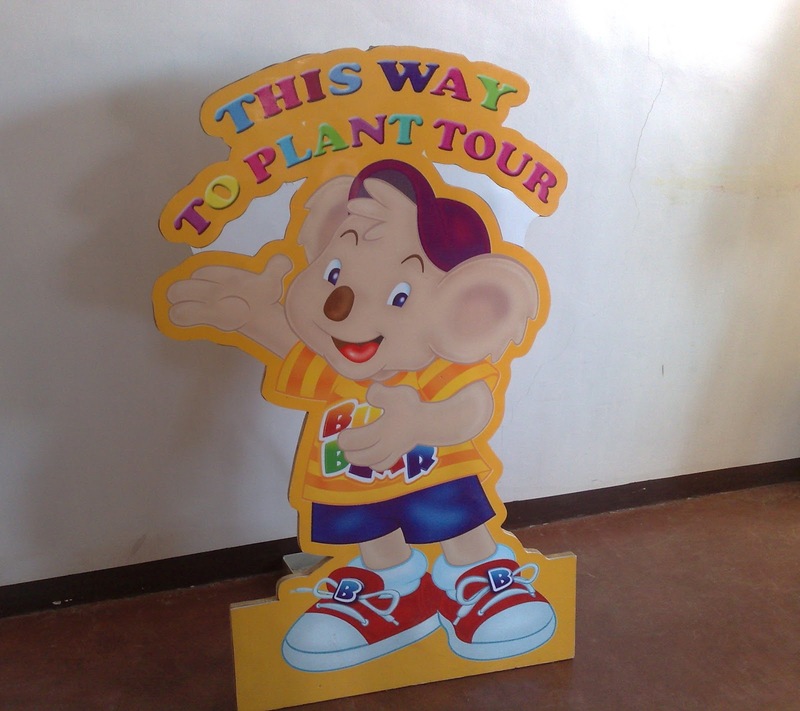 We entered the factory where there is a briefing area and picture-taking for the kids. We were then told that parents are not allowed and instructed the kids to wear their provided hair caps. 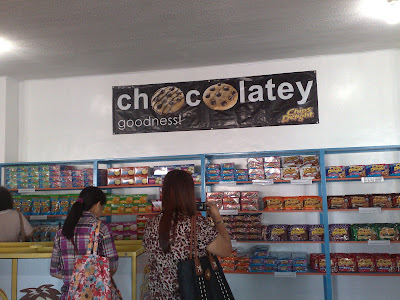 Since we can't enter the plant, we (the parents), proceeded to the store for some sweets shopping. I bought just enough cookies and chocolates for Meg and her cousin. I really found the toothbrushes amazing. It was a good idea considering all these sweets, right? 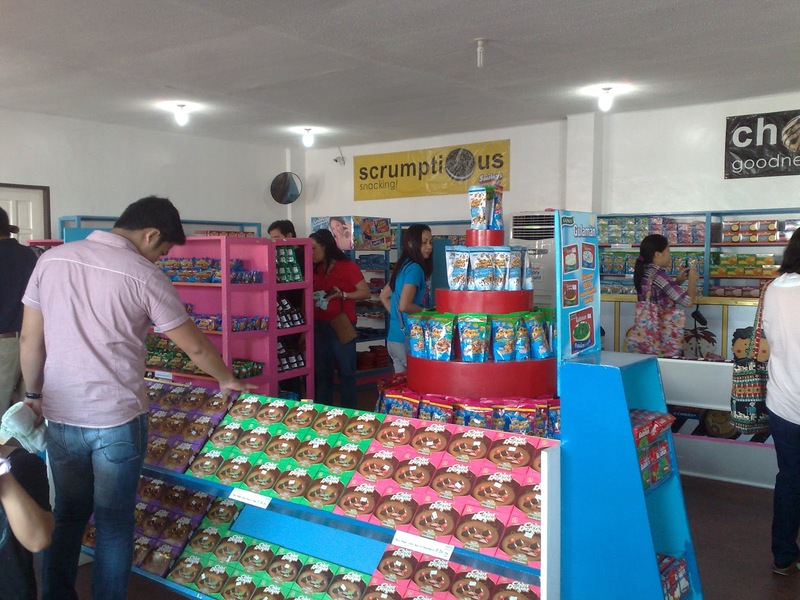 Know more about their products and visit the Galinco website. After the sweets tour, we continued the trip to the Lucky Me Noodle Factory. The tour in the factory is organized and there's a tour guide in every stage. They welcomed us to the lobby and surprised the kids with the appearance of Lucky M. Haha I didn't know there's a Lucky Me mascot. They have an official photographer for the tour and the photos were uploaded through their facebook page. 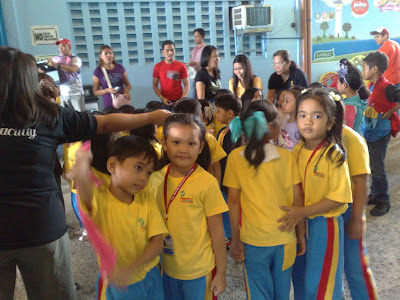 After the brief introduction, there's a short presentation-interaction with the kids. Lucky M presented good values that kids should act like being honest, courteous, generous, and respectful. The kids enjoyed the mini-show and they wore aprons for the next step which is a simulation on how to do homemade noodles. As we walk through the next stage, we pass along a hallway which also served as a gallery to the processing plant below. The kids saw how noodles were made and it was really impressive. 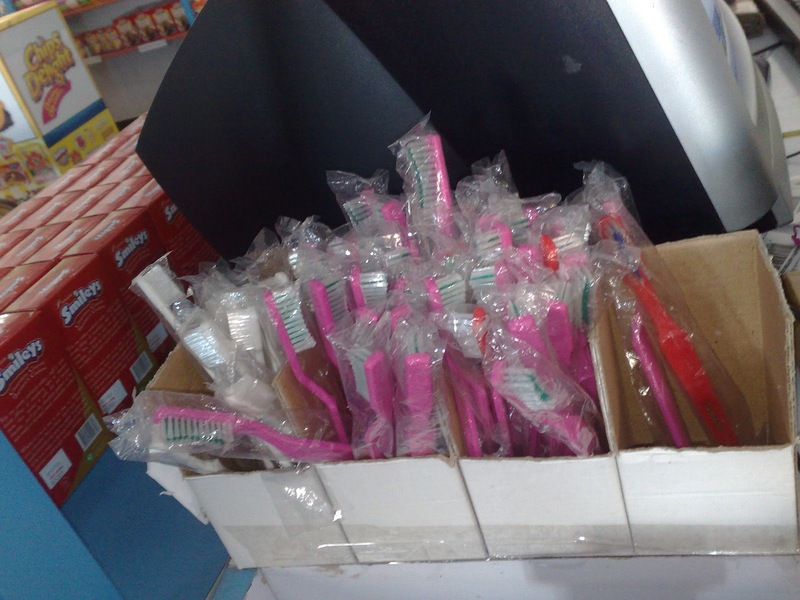 It was an overall machine-operated and clean process from the cutting of the noodles and the packaging. The workers wore lab gowns, hair caps, and gloves as they do the rest of the packing in the box. Visit their fan page also. The last part of the tour is the simulation on how to make homemade noodles using clay. It was fun but I would appreciate a real cooking show. hehe.. I bought some Lucky Me and Nissin Monde products at their store also. The final part of the trip is to the Pixie Forest at Festival Mall, Alabang. The kids had fun but as a parent I don't think a field trip at the mall is necessary. There's no group related activities since we're allowed to have lunch by ourselves and just advise us to be at the bus by 4PM. Anyway, Meg had fun playing at the arcade and with all the rides. There is a party when we got there and I think there were two more who celebrated that day. Check their rates here. Also visit their facebook page. It was an overall FUN day but so tiring. We left Alabang at 4PM and got stuck at traffic for 3 hours! I would recommend the factories for a field trip but not the amusement park. I guess I'm not really a fan of it and I wanted more like a team building sort of trip where kids can practice group works and at the same time learn and have fun. 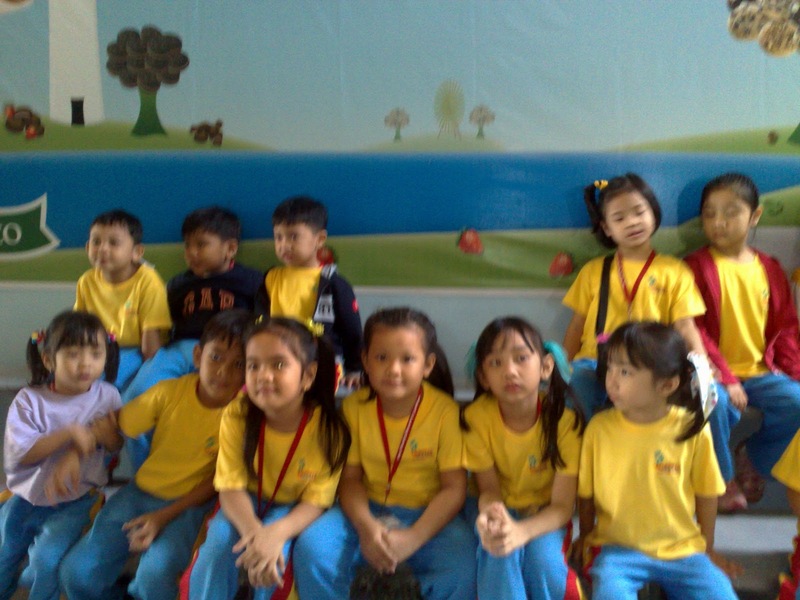 : Where are other field trip destinations? Hidden Hills Private Resort's owner is happy to give 2 nights/3 days free accommodation for 2 persons to ONE LUCKY WINNER! The resort is located at the beautiful province of Puerto Princesa, Palawan. This giveaway is OPEN WORLDWIDE and is hosted by The Travel Bug which is scheduled to run from Jan. 15 to Feb. 15, 2013. So, sign up now for a great chance to increase your stats and share this fabulous giveaway to your readers. Bloggers are also needed to host a page for $12. So if you want to increase your traffic stat - JOIN NOW! The hosting page is limited only and those who made the cut will be contacted and will request payment once you've been notified that you're confirmed to host a page. Please add an extra 0.80 cents if your option of payment is for "services." So, what are you waiting for? Sign up now and take part in this fantastic getaway! PLEASE INDICATE THAT YOU WERE REFERRED BY IRENE OF http://iwrightleia.blogspot.com/. I've been down with flu for three days now and got really busy at work so I haven't been so visible to my friends - personal, in FB, text, or may it be twitter. We all need friends, even us moms need a time for ourselves to make us sane. Lesser stress means lesser irks moments and more happy times with our children. Real friendships are beyond liking your posts on Facebook or agreeing on everything or seeing each other very often. I was able to ponder on this on my bed last Tuesday when I realized if I've gone MIA - I'm not a FRIEND anymore. So I wrote down these things that are circling in my mind. A Friendly reminder: It's just ME, ok? Don't think that once or twice meeting the person makes you BFF's already. Acquaintances are way too different from true friends. Don't get me wrong. Meeting new friends is good. Assuming that they are your TRUE friends is a little bit amiss. 2. Don't take things against them. If your friends don't agree with you, don't take it against them. TRUE friends will say everything - may it be good or bad; for your own sake. Or at least they know you well to say those things. If you don't want what you are hearing or you just want to manipulate the friends you have right now, wait - you might want to assess things and look closely at yourself. Say what you want to say. Don't use twitter or any social networking sites to say what you feel. If you feel bad about a friend, say it straight to his/her face (I'm like this sometimes). These sites may lead to miscommunications, especially if you're used to the BLIND ITEM thing or no-name-dropping thing. Haha everyone's guilty! This is what's been juggling in my mind. How can you compare an elementary friend that you seldom see from a recently added friend that's constantly with you? Who is a truer friend? For me, my so long friends even distance apart know me better than people who I usually meet for dinners. I know it's not comparable but to some extent you need to know more the people you welcome into your life. Not because you're a bad person but because you need to protect yourself from other people's intentions on your friendship Reality - Not everyone is GOOD. Even you don't see each other often, it doesn't mean your friendship faded. If you hear something about your friend, never conclude, don't judge right away. Talk to your friend. You know him/her better than the others. 6. Don't expect too much. We have this idea that a friend will stand by you no matter what even if you're wrong. Then you don't need a friend - get a dog. Each person is different. Even if you've been friends for life, you two are unique individuals. Friendship is not a one-way-street. You need to hear things out. You don't have to blabber all the words alone. Sit down, be an ear for a friend and speak as needed. Every person needs respect. No one has the right to be inferior to another person especially your friends. Your position in life does not mean you're a leader in a friendship group. 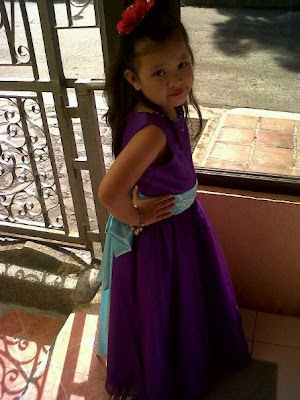 (Ano to gangster lang? lol) You don't consider those things in friendship. If you're a power tripper or a boss in the office, don't do that to your friends. 9. Learn to forgive and forget. Not all relationships are perfect. Same with friendship. Intentional or unintentional, your friends may hurt you but in the end, you must learn to forgive. It's a hard thing but if you are a real friend, no matter what the circumstances are, forgiveness must be given and then start to forget and start over. As with all relationships, love should be the root of everything. If it is the foundation of your friendship - everything will fall into place. : What else did I miss? How do you nurture hope in your kids? 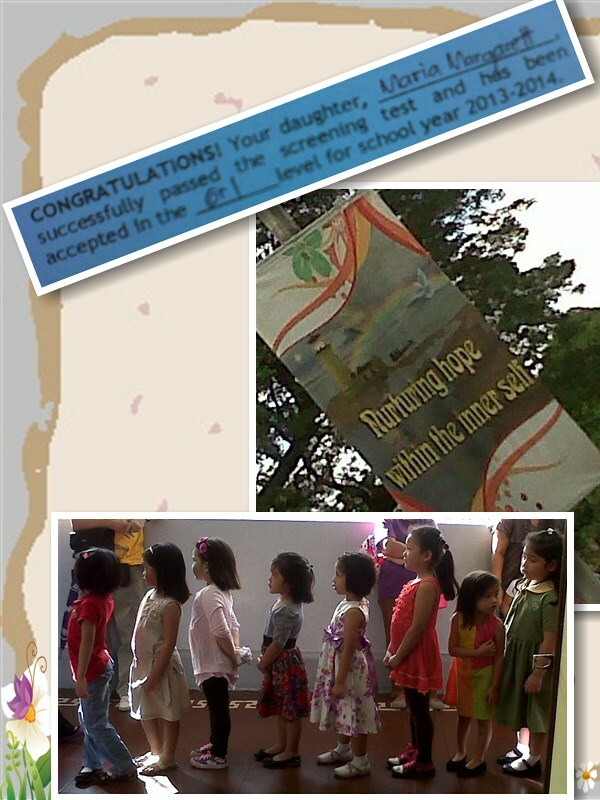 Yes she passed and will be in Grade 1 next school year =) How do you nurture hope in your kids? You still have time to join! Visit Cetaphil Philippines facebook page for the full promo mechanics. 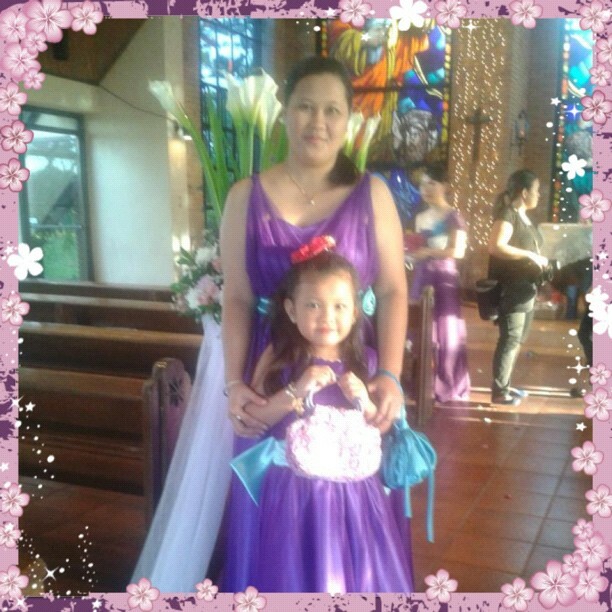 Meg and I attended a wedding last Monday (Oct.29, 2012) at The Transfiguration Chapel in Caleruega, Nasugbu, Batangas. Meg is the flower girl and I am one of the Secondary Sponsors (candle). 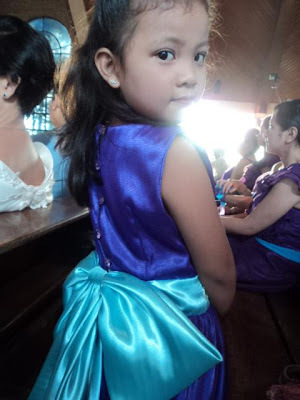 When my friend told us that she will have an out-of-town wedding, I was like "ang layo naman!" 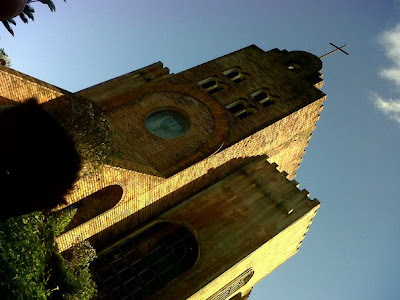 Yes, I know the famous Caleruega church. I did visit it thrice already but I really don't get why it is a dream place for weddings. The service van waited for us at the Intercon Hotel in Makati at 9:00 AM. It was a short one and a half hour trip and we then prepared for the wedding at the Alfonso Hotel. Good thing I brought my Clinique make-up kit with me, not a super make-up geek, I just made it simple for both Meg and I. As we entered the church, I didn't had that first awesomeness look that you will feel when you see JLC in person (haha that's me lang!). The aisle is a short one, nothing special about the altar, but the church's facade is really beautiful. You can even compare it to the churches in Europe. So I was like, what is so special about this? The wedding coordinators arranged the entourage outside and as the ceremony was about to start, there it is. The SILENCE, the SOLEMNITY. It gave me jitters. My friend was walking down the aisle and as the song embraced the whole church, you can really feel the moment. That moment is YOURS Any BRIDE would want that. Then the ceremony started. During the homily, the priest really gave a nice talk that everyone inside the church nodded, including me. There are laughter, giggles, and realizations. As the marriage rites continued, the priest asked them to say their vows to each other. Impromptu. For me, that was the first Catholic wedding that I witnessed that the bride and groom will deliver their own personal messages to each other. And just that instant, everyone was filled in tears. Being a cry-baby that I am, I think I cried the most. Haha! It was so nice to hear two people so much in love saying how happy they are that moment. And NOW, I fully understand why Caleruega is one of the ultimate dream churches for weddings. Aside from its beauty, there's the intimacy and the solemnity. Anyone would want that. Diba nga sabi, it's in the quietest times of our lives that we feel, we more feel the LOVE. As the priest said, "You are starting to march, not just on this aisle, but for the rest of your lives. Together... FOREVER." I have witnessed and shed so many tears while hearing Apol and Ian’s vows in this solemn and quiet place. Truly, happily ever after exists. What other out-of-town churches you know for weddings?